Startled Disbelief: The Life and Lies of a Some Guy with a Ph.D. The Life and Lies of a Some Guy with a Ph.D.
Oooh, he has a Ph.D.! I apologise for the poor quality of the photograph. It was taken with my iPhone. 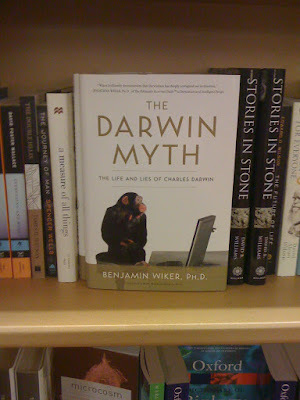 Yes, although it may be difficult to see, it is sitting on a bookshelf marked "Science". Giving the book store the benefit of the doubt, one might point out (correctly) that the subject of the book is science (or rather, a scientist). Personally, I think that this is a rather flimsy excuse. Regardless of the subject matter, the content of the book is not science. 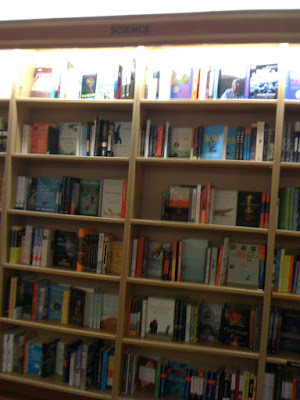 One might charitably relegate it to the biography section, but we all know where it belongs: religion. This is not a review of that book. Full disclosure: I have not read it, nor do I intend to. It does not behoove me to read every piece of woo-woo flapdoodle that manages to get published. But hey: if you've got new, interesting, cogent arguments... Well, let's hear them! Finally, I think that it would be fair to point out that I was looking for (one of) Richard Feynman's memoir(s) in the science section, rather than under Memoirs or Biography, but in point of fact I started in the biography section, and although there is quite a bit of science content in Surely You're Joking, Mr. Feynman, I think that it is also in the wrong place. But there are many levels of idiocy.